Who is/was better: Pedro Martinez or Johan Santana? It isn’t usually too tricky to finger pitchers who totally dominated their era. Sandy Koufax in the mid 1960s, Steve Carlton in the late 1970s and Greg Maddux for much of the 1990s, and that is ignoring the likes of Roger Clemens and Randy Johnson who have seemingly been around for eternity and have won Cy Young awards in three different decades. There are two notables missing from my list above. One who arguably had two of the greatest seasons of all time in the latter part of the 1990s, and one who dominates all and sundry today. No doubt you guessed from the title of the column, we are talking about Pedro Martinez and Johan Santana. 2006 saw the reigniting of a debate that hasn’t been heard since Martinez’s 1999 season. Whether a pitcher can win the MVP? Once again that festooned a series of comparisons between the two great men. Let’s try to shed a little light on the what-fors and what-nots and work out who has been more valuable on a year by year comparison. At this point we’ll put to one side the 2007 season as there is still plenty of baseball to play. However, at the end of the column we’ll look at how Johan’s 2007 performance alters the conclusion. Hey, this is a fun list. What we are looking at here are hurlers who have recorded the most consecutive 10-strikeout games—the elite power pitchers. If you go to a game and see a pitcher mow down 10 you’re impressed; if you see that same pitcher do it 10 times on the bounce you’ll probably need a slap round the face with icy water. It has happened folks. Yes, you heard correct. When Pedro Martinez was at his most dominant in 1999 & 2000 he had 10, yes count them, 10 consecutive games in which he struck out more than 10 batters. Wow. His K/9 over that period was an astonishing 15.3! That isn’t the only time Pedro appears. He is also tied for second, and third, and fourth … you get the picture. Actually, studying this list gives us a great idea of who the all-time uber-dominant power pitchers are. The Big Unit, Martinez and Nolan Ryan are serial representatives. In fact, only three players have had a consecutive streak of six or more … those three players have done it a jaw-dropping 10 times combined. We know that the league K/9 rate has consistently grown over time so perhaps it’s surprising that there aren’t a few more recent seasons on the list. The most recent entry was Johan Santana’s strike-fuelled 2004 season when he had a five-game streak for 10 or more strikeouts—his only appearance. Commentators and analysts often compare the dominance of Santana to that of Martinez. Based on this list it’s discussion over. A reader wrote me and claimed that if you dug behind the numbers my final statement is false and Santana still has the potential and trajectory to be better than Martinez. Hmm, I’m not so sure. First let’s recount a short history of the two players. Pedro Martinez was born in the Dominican Republic in October 1971 and got his first taste of big-league action in 1992 when he donned the Dodgers’ uniform as a relief pitcher under the watchful eye of his brother and then Dodger ace, Ramon Martinez. Soon, he was deemed surplus to requirements by Dodgers’ boss Tommy Lasorda (who thought Martinez too short to be a starter) so found himself on the staff of the Montreal Expos come the strike-shortened 1994 season. It was in Canada that Pedro bloomed into one of the top pitchers in baseball. In 1997 he posted a 17-8 record for the Expos and led the league in most categories; his line included 1.90 ERA, 305 strikeouts and 13 complete games—those numbers led to him securing the first of three Cy Young awards. That season was the first since Walter Johnson’s 1912 in which a right handed hurler had a sub 2.00 ERA and mowed down more than 300 batters. In late 1997, Pedro was shipped off to the Red Sox and signed a lucrative $75 million six-year deal—the largest ever to a hurler at that time. Martinez continued to dominate and in 1999 he had perhaps one of the finest pitching seasons in recent memory going 23-4 with a 2.07 ERA and 313 strikeouts, winning the pitching triple crown, securing a unanimous Cy Young and just missing out on first place in the MVP race despite garnering most first place votes. In 2000, Martinez had another great season posting a 1.74 ERA. Clemens’ ERA, which was the 2nd lowest in the league, was more than double that! Martinez continued to dominate in 2001 before going on the DL. He bounced back for another great season in 2002 (2.26 ERA) and 2003 (2.22 ERA) before leading the Red Sox to World Series glory in 2004. He then became a free agent and wound up playing for the Mets where he was still did wondrous things with the baseball but could no longer dominate as he did in the past. He spent more time on the DL and there were question marks over his stamina as he struggled to go deep into games. Now age 35 and having spend much of the year on the DL there is doubt as to how long he has in the top echelons of the game. There is less to say about Santana, primarily because he is nearly a decade younger than Martinez. 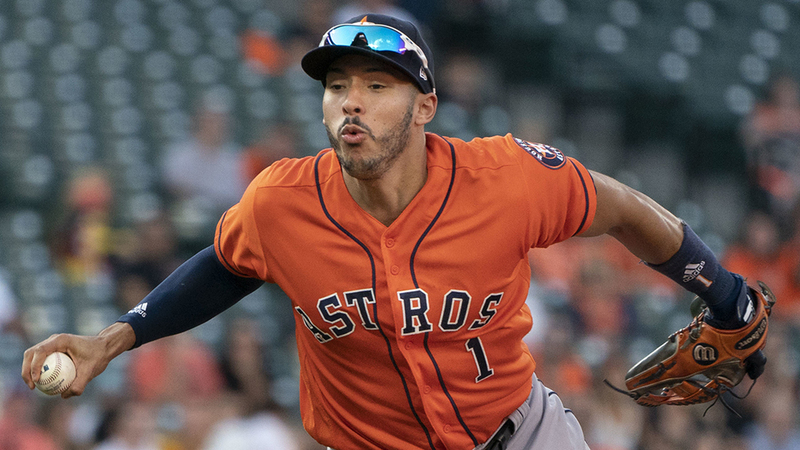 He was born in Venezuela in March 1979 and was on the books of the Astros and Marlins before making his major league debut with the Twins in 2000. Initially he was used as a long reliever by the Twins and it wasn’t until late in the 2003 season that he transitioned to the starting rotation at which point he won his last eight decisions and led the Twins into the play offs, much to the delight of Aaron Gleeman. Since then Santana has fronted the Twins’ rotation and been a beacon of consistency—not that this has always been a good thing. Typically Santana starts the season slowly before becoming utterly virtually unbeatable after the All-Star break. This has meant his season ERA has never been in Martinez territory but his peripherals are similar. In the second half of 2004 Santana posted an ERA of 1.21, became the first pitcher since 1961 to yield less than four hits in ten consecutive starts, and broke the second half win-loss record with a 13-0 performance. In total for 2004 his overall record was 20-6 with a 2.61 ERA. Like Martinez in 1999, Santana was the unanimous Cy Young winner for the AL. 2005 and 2006 were almost repeats of 2004. In 2005, Santana struggled early and dominated in the second half recording a 2.87 ERA (0.01 behind AL leader, Kevin Millwood) but finished with a 16-6 record as a weak Twins line-up probably cost him a second consecutive Cy Young. 2006 again saw the first-second half split in numbers and he became the first hurler to with the Major League Triple Crown since Dwight Gooden in 1986. He also secured a much deserved second Cy Young award, again with a unanimous vote. In his pomp Pedro possessed a 95-97 mph fastball than moved viciously as it crossed the plate; he also had a plus curveball and a wicked change up. It was this combination of heat and deception that resulted in so many whiffed batters. As his career progressed his arm dropped lower and he currently throws from a low three-quarters position that gives more disguise to his delivery. In recent years Pedro has made a number of adjustments and his fastball is typically around the 90mph mark but does max out in the mid-90s if he ratchets it up. Pedro succeeds on his wide range of deliveries and subtle changes in arm action that befuddle opposing batters. That description of Pedro Martinez around the turn of the century would not surprisingly fit Johan Santana today. Santana dominates with his fastball that tops out at 97mph but is usually in the 95mph range; combine that with a change-up that looks identical on release and you have a lethal combination. He also makes use of a plus slider/curve but it is the devastating change-up that is usually his strikeout pitch. Although Santana has a similar pitch repertoire to Martinez his arm angle is higher, at an 11 o’clock position rather than a low three-quarters point, which Pedro tends to favor. Although the mechanisms are slightly different the pitch types are similar and the results largely equivalent. Reading the bios above it intuitively seems that Pedro was the more dominant pitcher but that is ignoring the fact that Martinez has been through the peak of his career whereas Santana is still on the ascent. Surprisingly close! If we ignore Martinez’s historically great age-26 season then you might believe these two hurlers were the same man as both would have a career ERA of 3.27. Quit howling—I know we can’t go around voiding seasons but we are just trying to account for the difference between the two pitchers. If we look just at the peripherals we see that there isn’t much to choose between the two in strikeouts but Santana has slightly better control. All told at the end of age 27 Santana had a marginally better K/BB ratio of 3.7 to Martinez’s 3.3. However, that is a bit disingenuous because we know that Santana was fooling around in the pen until 2003, perhaps allowing him to pitch a bit more aggressively. What if we restrict the peripherals for the three-year period prior to age-27 season. We see a similar pattern. Santana had a better K/BB ratio although Pedro had more raw power. Over that period Santana also had a marginally better ERA, so does that mean he was a better pitcher at that age? Not necessarily. Based on this analysis there isn’t a huge amount to choose between the two except that Pedro had already proved he was capable of the truly spectacular season as the sub 2.00 ERA in 1997 showed. In Pedro’s next five seasons his ERA would never exceed 2.50. That was when he was at his best. To date, Santana has yet to post an ERA less than 2.50. One thing we must do before we leave this topic is adjust for context. An ERA of 1.90 sounds great until we find that the league average was 1.60! It wasn’t, of course, but let’s run the numbers. Aside from Pedro’s superlative 1997 where his ERA+ notched a nose bleeding 222 the numbers are in a similar band. Peripherals and ERA are all well and good but at the end of the day we care about wins. How many wins did Santana and Martinez contribute to their respective teams over this part of their careers? We have the data to work this out. We can use the formula (ERA-lgERA)*IP/90 to calculate wins above average each year. Well, again they are surprisingly close. After seven years in the bigs Santana racked up a third of a win more than Pedro did but the difference is barely significant. One other thing to note is that Santana had three 4 WAA seasons by age-27 while Martinez had just two. Although Santana may seem a whisker ahead, our cut-off point in comparing the two players is fortuitous. For what was to come from Martinez were possibly two of the greatest seasons of all time, and had we included those our data would tell a completely different story. How can Santana become a great? Take a few seconds to admire what Pedro achieved from his age 28 season onwards. Given the context, and especially the rise in offense, Pedro’s effort has got to be one of the most impressive consecutive stretches of pitching bar none. For Santana to match that performance in the coming years his 2004-2006 K rate has to increase 16% and his 2004-2006 walk rate has to fall 8%. You’d also be asking him to dial his ERA down by 0.4-0.6 points, which is to a level he has never achieved over a full year. And he’ll need to repeat that for five years. Wow, that is some ask. The million dollar question! Using the Weibull distribution we can estimate what sort of season Santana has to have to post an ERA of 2.20. Remember he has to do this for five years straight! Hah—some pitching performance! All told that equates to roughly five 22-win seasons. So what are the odds of that happening? Well, we’re now into conjecture country but it would require a step change in Santana’s performance. And he has proven he can do it in short bursts: the simple average of his second half ERA has 1.80 for the last three years. What is yet to be proven is whether he can take that form and consistently reproduce it. Pedro did at a similar stage in his career and achieved something extra special that we may not witness again in 100 years. Although you wouldn’t rule out Santana replicating that feat the odds have got to be strongly against. If you add 2007 performance into the picture the odds lengthen considerably. Santana is approaching his peak age, a time when Martinez was shaving huge chunks off his ERA, and in the second half at least Santana isn’t producing as expected. His post-break ERA is 3.72, which while good is nowhere near Cy Young terriotry, let alone anything more spectacular. At this minute he is going in the wrong direction. Mail me if you want the under on a five year ERA of 2.20—I’ll take any money! I think this debate is pretty much closed. If you look at history prior to where Santana is currently in his career then it is difficult to split these two. However, Martinez then redefined the record books. As things stand Santana shows little promise of doing the same. Age calculated as current year—birth year—no July cut-off (technically that puts the two pitchers six months apart) so remember that Pedro is effectively six months younger in this analysis. Were we to use actual baseball ages then Johan would effectively be six months younger. It’s horses for courses.